From cultural exchanges and eco-activism, to virtual agents and a ‘less is more’ mentality, Booking.com reveals 8 biggest travel trends for 2019. Leveraging its unique position as a travel and technology leader, Booking.com, the global leader in connecting travelers with incredible places to stay, has delved into its unprecedented insights from over 163 million verified guest reviews and research from 21,500 travelers across 29 countries, to reveal eight travel predictions for 2019, giving an exclusive peek into the crystal ball of what travelers can expect in the year ahead. Representing a new type of currency and means of personal fulfillment, 2019 will see a focus on travelers making choices with extra significance as they look to add more purpose to their trips. Over half (56%) of global travelers agree traveling has taught them invaluable life skills, and 2019 will see a rise in people’s desire to learn something new whilst away, as well as an increase in volunteering and skills-based vacations across generations. In particular, Generation Z will increasingly scrutinize the value of expensive college degrees over and against the life skills and practical learning that can be gained from travel, especially as experiences beyond the classroom and office cubicle continue to make for attractive potential employees in many companies’ eyes. When looking at the most popular kinds of trips with purpose, 68% of global travelers would consider participating in cultural exchanges to learn a new skill, followed by a volunteering trip (54%) and international work placements (52%). The innovations that will have us truly excited won’t be the most futuristic or exotic, with travelers more enthusiastic about real-time luggage tracking through a mobile app (57%) and having a single app for all their planning, booking and travel needs (57%) than the prospect of using self-driving transportation in their destination (40%). The extremely complex will power the seemingly simple for whole new levels of travel confidence and flexibility. 2019 will also see more tech developed for use pre-trip at the research stage. Almost a third (31%) of global travelers like the idea of a 'virtual travel agent' in their home, using voice-activated assistants to answer travel queries, and one in five want to see technology such as augmented reality helping to familiarize themselves with a destination before they arrive. NASA will start construction of its Lunar Space Station in 2019 (launching in 2022) and we’ll continue to see considerable investment in orbital spaceflight. In 2019 and beyond, we will continue to push the extreme limits of where travel will take us and as space technology advances, even the prospect of space tourism won’t seem such a giant leap anymore. Travel and other consumer goods companies will be investing in tests on earth to prepare for a future in space and meet consumer appetite for braving the new frontier. Four in ten travelers (40%) confirm they are excited about the prospect of space travel in the future and are open to considering the experience themselves (38%). Until space travel becomes a reality, this brave new mentality will also translate to travel slightly closer to home with a desire to explore uncharted territories here on Earth. Of most interest is under terra firma, with six in ten travelers (60%) confirming they want to stay in accommodation under the sea. 2019 will likely see new, seemingly impossible types of holiday home and hotels out of our imagination start to emerge before our eyes. 2019 looks set to see rapid developments in the way travel information is consumed and used. Generic, comprehensive travel guides of the past will make way for increasingly short-form, hyper-relevant and individualized content, which can be neatly integrated into travelers’ feeds. A third of travelers (34%) want someone or something to do the hard work and make travel recommendations for them and around two fifths (41%) want travel brands to use technologies such as AI to make travel suggestions based on past travel experience. In fact, over half (52%) would be excited about tech travel innovations such as a digital tour guide, bringing them a truly bespoke experience. As importance deepens on personal, individual recommendations that unlock the most out of every trip, expect producers of rich and professional travel content to find even better ways of distributing this through the use of AI as we move through the coming year, reaching us exactly when we need it most. Reflecting increased global interest in social issues such as human rights, equality and working conditions, 2019 will see a more conscious traveler become evident, with even more questions being asked around social, political and environmental issues in potential travel destinations before making a decision on where to visit. Currently almost half (49%) feel social issues in possible travel destinations are of real importance when choosing where to go and over half (58%) choose not to go to a destination if they feel it will negatively impact the people who live there. And as travelers increasingly seek new and authentic experiences, they also want to ensure that they can travel in safety, regardless of their gender, ethnicity or sexual orientation. Platforms such as Destination Pride are harnessing the power of multiple data sources to provide travelers with a ranking of how LGBT+ friendly their chosen travel destination is, while destinations and organizations will increasingly step up their support for women traveling alone. Booking.com data reveals that almost one in five (19%) travelers plan to travel to attend a Pride festival in 2019, most prominently younger explorers with almost a third (30%) of 18 to 34-year-olds. The issue of single-use plastic will continue to be a hot topic, but in 2019 environmental concerns will turn into greater environmental action. Millennials and Gen Z travelers will look for sustainable experiences in their destination, while accommodation providers will look to reduce their plastic usage and increase their sustainable credentials. An overwhelming majority of global travelers (86%) say they would be willing to spend some time on activities that offset the environmental impact of their stay, with over a third (37%) willing to clear plastic and litter from a beach or other tourist attraction. With deeper interrogation from travelers into the sustainable practices of both their destination and accommodation choices, fuelled by their desire to travel with a conscience, investment in sustainable start-ups will be considered ever more imperative. Expect to see a number of new travel start-ups and individual enterprises committed to shaping a new future for our planet’s destinations emerge in the coming year, with intriguing technology at the core of their solutions. Travel with experiences at its core was one of 2018’s major travel trends but 2019 will take it even further. ‘Doing’ will weigh equally with ‘going’, if not more, when it comes to travel reflection, and for almost two thirds of travelers (60%) experiences are now valued higher than material possessions, 2019 will see travelers packing in many different and authentic experiences, from where they eat and sleep to how they shop or watch their favorite sports game with an emphasis on creating moments that will bring us joy and comfort long after the fact. As we all continue to lead busy lives, experiences will help to ease the burden of stressful adult life. In 2019, two-fifths of travelers (42%) plan to visit a destination that makes them feel like a kid again. We’ll see properties looking to add more childlike and playful touches such as ball pits and bouncy castles for adults to cater for a Millennial and Gen Z audience, who are the biggest groups who travel to feel like a child again. Over half of the global travelers (53%) report, they plan to take more weekend trips in 2019. It’s a year that’s predicted to be all about made-to-measure, bite-sized travel with more curated travel itineraries squeezed into shorter time frames. Less is most definitely more as travelers are offered a more bespoke experience. 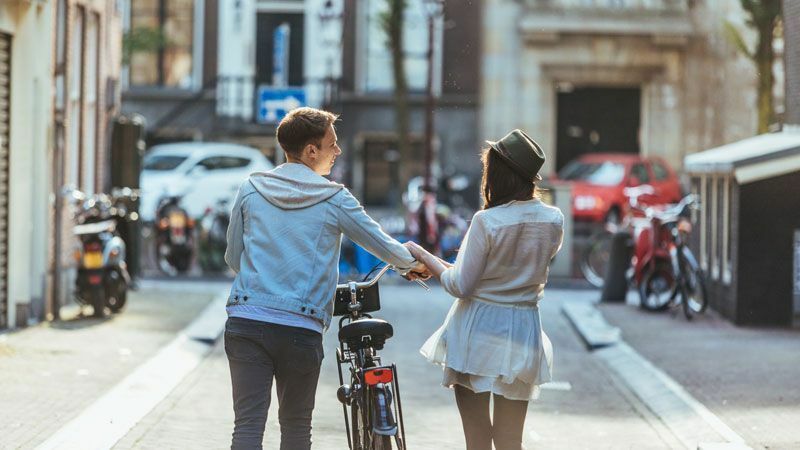 With continued innovations in transport, from more flight routes, keenly priced airlines to sharable and easy, on-demand car rentals, as well as real-time public transport insights served up to visitors seamlessly in situ, the micro trip will become more varied and tailored, making shorter trips more personal and rewarding. We’ll also see a continued surge in a desire to stay in unique and remarkable types of accommodation, which offer the chance to make a serious travel statement, even on the shortest of getaways.